The first and last president of the Soviet Union spoke with RBTH about the past and how it should inform the present. As the 25th anniversary of the fall of the Berlin Wall approached, Maxim Korshunov of RBTH sat down with Mikhail Gorbachev, the first and last president of the Soviet Union, to discuss the historic rapprochement between East and West and the prospects for a new Cold War. Russia Beyond the Headlines: 1989 is the year that the Berlin Wall fell. But that only happened in November. In the summer of that same year, at a press conference following your negotiations in Bonn with Chancellor [Helmut] Kohl, you were asked, “And what about the wall?” You answered, “Nothing under the sun is eternal. […] The wall can disappear as soon as the conditions that gave birth to it no longer exist. I don’t see a big problem here.” How did you assume events would unfold back then? RBTH: What made it possible to finally overcome the division of Germany? In your opinion, who played a decisive role in its peaceful reunification? I want to note that besides the Soviet Union, the other participants in the process of definitively solving the German issue also demonstrated balance and responsibility. I am referring to the countries in the anti-Hitler coalition – the United States, the United Kingdom and France. It is no longer a secret that Francois Mitterrand and Margaret Thatcher had major doubts regarding the speed of reunification. The war still left a deep scar. But when all the aspects of this process had been settled, they signed documents that spelled the end of the Cold War. RBTH: It fell to you to decide the fateful problem of global development. The international settlement of the German question, which involved major world powers and other nations, served as an example of the great responsibility and high quality of the politicians of that generation. You demonstrated that this is possible if one is guided – as you defined it – by “a new way of thinking.” How capable are modern world leaders of solving modern problems in a peaceful manner, and how have approaches to finding answers to geopolitical challenges changed in the past 25 years? I don’t want to contrast that generation of leaders with the subsequent generation. But a fact remains a fact: it wasn’t done. And European development has been lopsided, which, it should be said, was facilitated by the weakening of Russia in the 1990s. M.G. : The topic of “NATO expansion” was not discussed at all, and it wasn’t brought up in those years. I say this with full responsibility. Not a singe Eastern European country raised the issue, not even after the Warsaw Pact ceased to exist in 1991. Western leaders didn’t bring it up, either. Another issue we brought up was discussed: making sure that NATO’s military structures would not advance and that additional armed forces from the alliance would not be deployed on the territory of the then-GDR after German reunification. Baker’s statement, mentioned in your question, was made in that context. Kohl and [German Vice Chancellor Hans-Dietrich] Genscher talked about it. Everything that could have been and needed to be done to solidify that political obligation was done. And fulfilled. The agreement on a final settlement with Germany said that no new military structures would be created in the eastern part of the country; no additional troops would be deployed; no weapons of mass destruction would be placed there. It has been observed all these years. 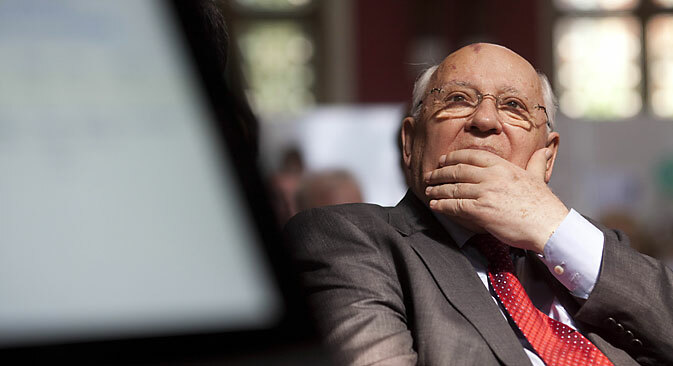 So don’t portray Gorbachev and the then-Soviet authorities as naïve people who were wrapped around the West’s finger. If there was naïveté, it was later, when the issue arose. Russia at first did not object. The decision for the U.S. and its allies to expand NATO into the east was decisively made in 1993. I called this a big mistake from the very beginning. It was definitely a violation of the spirit of the statements and assurances made to us in 1990. With regards to Germany, they were legally enshrined and are being observed. RBTH: Ukraine and relations with Ukraine are a painful subject for every Russian. As someone who is half Russian and half Ukrainian, you wrote in the afterword of your book After the Kremlin that you are deeply pained by what is going on in Ukraine. What do you consider the way out of the Ukraine crisis to be? How will Russia’s relations with Ukraine, Europe, and the U.S. develop in the coming years in light of recent events? First and foremost, I think they need to cancel these so-called personal sanctions. How can we conduct a dialogue if you are punishing the people who make the decisions and influence policy? We need to talk to each other. This is an axiom that has been forgotten, quite unfortunately. RBTH: Ukraine is planning to build a wall on the border with Russia. Why do you think it happened that the Russian and Ukrainian peoples suddenly fell out and now might be divided not only by a political, but also a physical wall? M.G. : The answer to that question is very simple: I am against all walls. Let’s hope that those who are planning such a “construction” come to their senses. I don’t think our peoples will fall out. We are too close in all respects. There aren’t any insurmountable problems or differences between us. But a lot will depend on the intelligentsia and the media. If they work to separate us, contrive to exacerbate our conflicts and quarrels, there will be trouble. The examples are well known. And so I urge the intelligentsia to act responsibly.